The first step in JDG’s association executive search process will be the development of a thorough understanding of the client’s mission, culture, resources, internal dynamics and goals. This is accomplished through the preparation of a Profile for the CEO position at the client organization. In developing the Profile, JDG will interview separately each member of the Search Committee and, as appropriate, the client’s senior staff. In addition, JDG will review the client’s strategic plan, financial statements, and other available materials and explore its website. The Profile itself is composed of two sections: Organization and Executive. 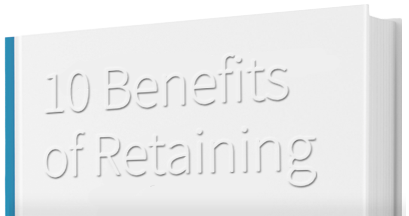 The Organization section is a review of the client’s status and dynamics, i.e., where it has been, where it is and where it is headed. The second section, the Executive, is a narrative reflecting Committee and staff input to specific queries and identifying and commenting on the skills, characteristics and qualities needed to serve in the position. The Executive section closes with a summary and specification of ten Search Keys, organized in priority order, desired in the executive to lead the client association toward the achievement of its mission. A draft Profile will be sent to the Committee for its review, amendment and approval. JDG’s role in this will be to introduce the draft Profile, answer Committee members’ questions, to provide guidance, as appropriate, and record changes made and approved by the Committee. It is important that the Profile be adopted as a product of the entire search committee; i.e., a firm consensus is reached on where the client is headed and the type executive needed to take it there. Also during this preparation phase, JDG will develop a Position Announcement which serves as an overview and summary of the position for distribution to potential candidates and sources. The Position Announcement provides a brief description of the organization, summarizes the position responsibilities, and describes the qualifications and characteristics sought in the ideal candidate. Once approved by the Search Committee, the Position Announcement is a key marketing tool for attracting prospective candidates. Targeted Research: JDG will undertake in-depth research of other organizations, both association and for-profit, where qualified and diverse candidates are likely to exist. Search Resources: JDG’s search resources include ZoomInfo, the most comprehensive source of business information on people and companies in the world. Additional resources include associationexecs.com which contains the executive staff of 7,000+ national trade and professional associations as well as Leadership Directories, which provides high-quality contact information for the leaders of major business, professional, and association/nonprofit organizations. Social media resources will be engaged, first among which is LinkedIn. JDG Database: JDG maintains an internal database of more than 100,000 professionals, many of whom are association/nonprofit sector leaders. Individuals previously contacted by our firm may be suitable candidates, or may serve as referral sources to other, more qualified or interested candidates. In addition, JDG’s 20+ years of association search provides it with a wide array of contacts within the association executive communities. Client Resources: As appropriate, use would be made of the client’s website and direct member communications capabilities and venues, e.g., direct emails to the volunteer leadership or perhaps to the entire membership. Also as appropriate, Search Committee members and professional staff will be sourced directly for the names of resources and candidates, as well as other organizations where strong candidates might be found. Internal Candidates: Candidates submitting materials directly to the search committee and any internal candidates desiring to be considered will be included in the overall mix of candidates. 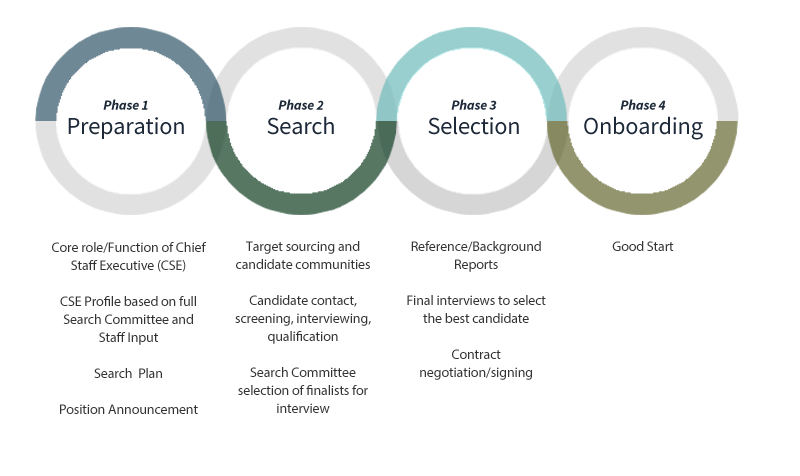 This process furthers our strong JDG-client partnership approach to the search process while allowing each candidate to be assessed on his/her own merits vis a vis the entire candidate pool. Postings: The position will be posted on selected web-based professional and trade venues. Also, position listings on JDG’s website are uploaded daily by a wide array of search engines thereby networking the announcement across the internet. Typically, JDG will identify 100+ sources and potential candidates for a CEO position. Initially contacted by email, JDG will identify high potential resources and candidates for telephone outreach. Routinely, these calls will result in 50+ conversations with a resource or an individual expressing interest in the position. Of the latter, approximately 25 of the calls will develop into an initial interview with a request by JDG for a letter of interest and resume. On receipt of these materials, a second interview (in-person or via Skype) of 45-60 minutes will be scheduled. Of those given a second interview, 10-15 will be asked for a third, more in depth interview. On reviewing the reports of the third interviews, typically 8-10 candidates are submitted by JDG to the Search Committee for its consideration. JDG will provide biweekly progress reports to the Search Committee. These reports will detail JDG’s search activities and identify any impediments encountered in the recruitment of qualified candidates. The principal focus of the reports will be the quality of candidates expressing interest in the position and the competitiveness of the salary range. A conference call/meeting with the Search Committee will be held at the close of the Search Phase. Written assessments and resumes of eight or more qualified candidates will be made available to the Committee prior to the meeting. At the meeting, each candidate will be considered by the Committee with JDG providing an oral review to supplement the written materials. Following the review, four to six candidates will be selected to meet in person with the Committee. Similar to the process used during the initial candidate presentation meeting, the candidate interviews are conducted to further clarify the Committee’s appreciation of the skills, experience and qualities needed in the position to ensure that the best candidate will be chosen. 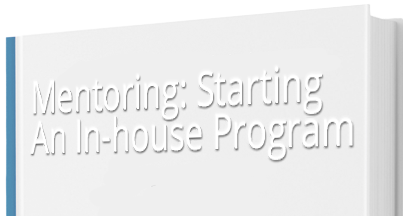 JDG’s services include our Good Start program. This calls for a meeting of the Executive Committee of the organization with the new CEO three months after he/she has been in the position. The purpose of the meeting is to review and discuss the new CEO’s assessment of the client’s staff and organizational capabilities. JDG will assist the CEO in preparing a written report prior to the meeting that will identify strengths in the organization and areas that may need attention. In addition, the report will suggest three to five priority areas for attention/completion over the remaining nine months of her/his first twelve months in the position, and would be included in his/her first annual performance evaluation. Finally, the meeting will establish or confirm the new CEO’s annual performance review process and criteria.